The talented executives in the new class spent the first few days as E-MBA participants getting acquainted and gearing up for the learning journey. 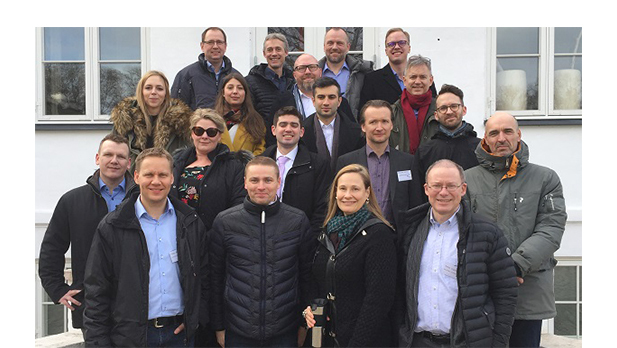 On Thursday 22 February 2018, 22 talented executives representing 21 different organisations met for the first time to embark on their CBS E-MBA adventure. Holding 348 years of work experience and almost 200 years of managerial experience between them, the E-MBA room was literally brimming with different perspectives and experiences. A fourth of the participants are women and almost half of the group – or 41% - stem from outside of Denmark, adding an international angle to future classroom discussions. This E-MBA class also contains several talented executives that have made their mark in the digital arena. Irma and her fellow classmates spent the first few days getting acquainted, gearing up for the learning journey ahead and rubbing shoulders with faculty and CBS staff. Over the coming 26 months, they will learn to adapt a 360 view of their organisations, using it to solve challenges and improve current practices.